“I am not afraid.” History released a new trailer for the season four return of Vikings at this year’s Comic-Con. The historical drama stars Travis Fimmel, Gabriel Byrne, Katheryn Winnick, Clive Standen, Jessalyn Gilsig, Gustaf Skarsgard, George Blagden, and Nathan O’Toole. Season 4B of Vikings is set to premiere this fall. What do you think? Do you watch Vikings? Are you excited for new episodes? 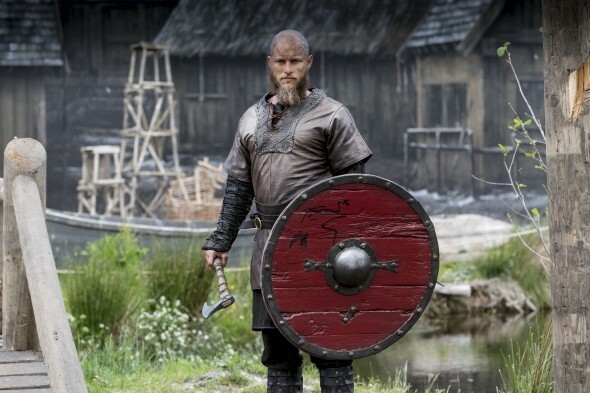 What makes Vikings an awesome show? An actual story, perfect actors, and very little cgi!! Something lacking on tv today. Bravo History. May many seasons of Vikings await us!! Season 4B looking epic, and alluring. I am definitely drawn in and ready for the battles. Wow I just watched the season 4B trailer for Vikings it looks great! I’m really excited an i can’t wait for it to return this fall.